If the future of cars is electric powered cars and it's knocking on our door, don't expect me to answer it. Then again, electric vehicles may be good for people who don't know of care about automobiles, but for true gearheads like me, nothing else but an internal combustion engine will do, I love the sound, and the feel of an internal combustion engine, it has personality, it has soul. The day all new cars are electric powered will be the day I lose all interest in new cars. No doubt, currently, it's the best EV. 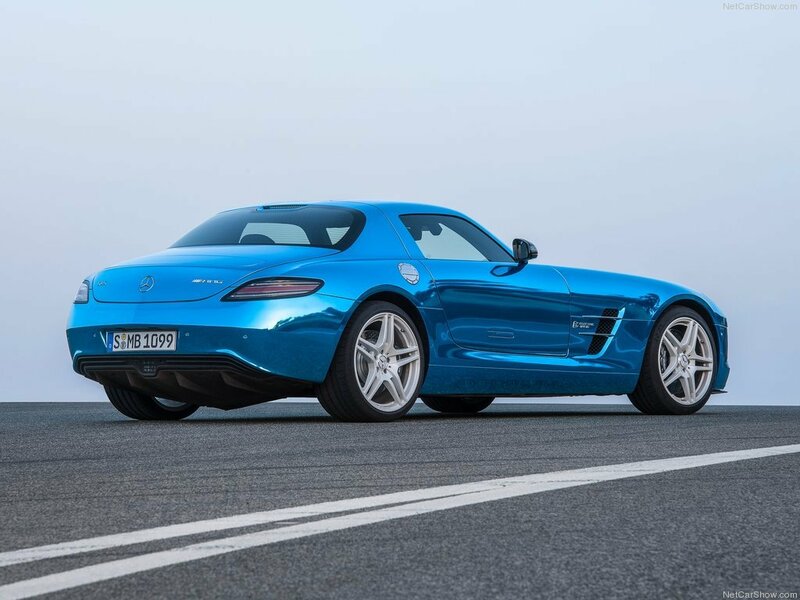 Huh, to be honest why this car still has AMG part in it's name, whether there are not used AMG petrol engines? Marketing? Seems that nowadays Benz and AMG depend on each other. 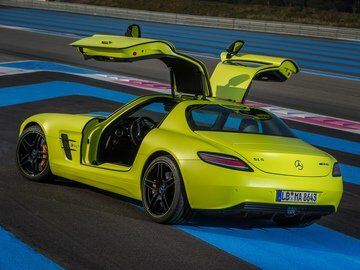 In comparison to the petrol SLS - yes, it's destroyed, but in comparison to other electric cars - this SLS is the best! 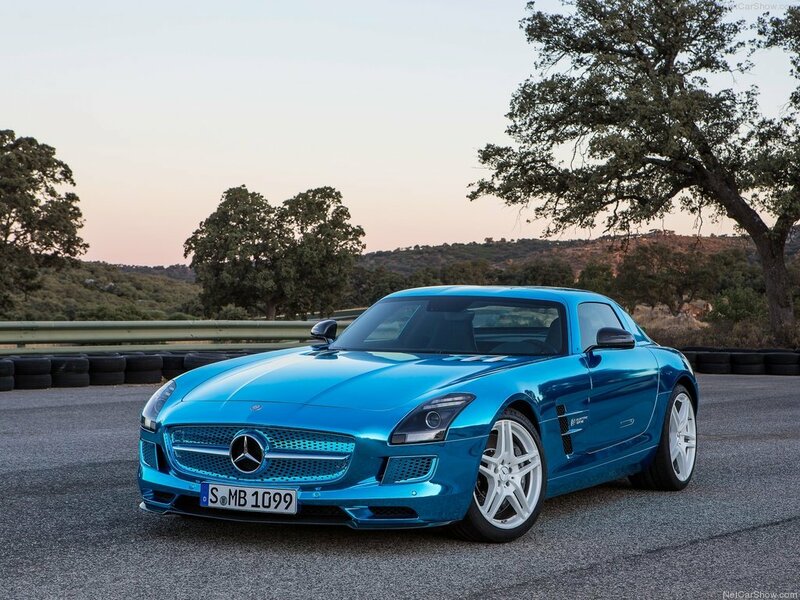 ...4600Lbs?...Really?...Electric...AND Awd...And Double the price?...Well, you can thank Mercedes for destroying a good car.. 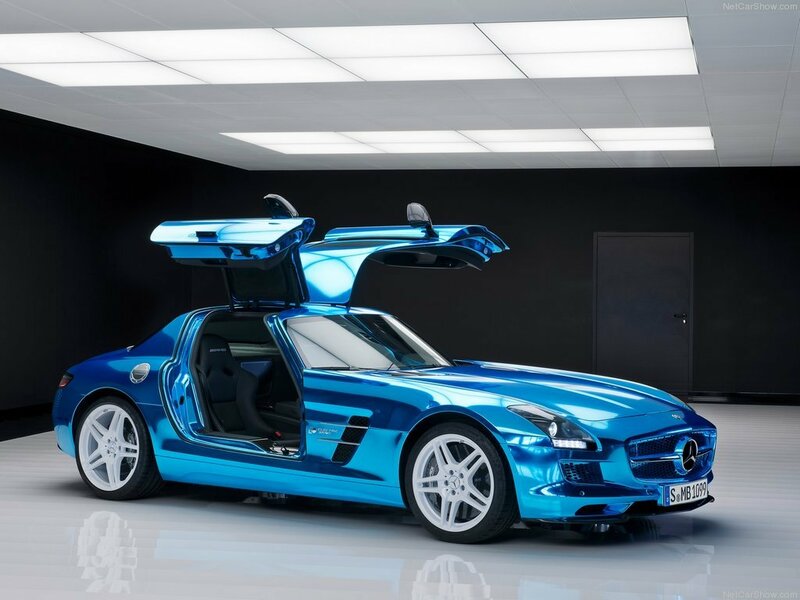 The paint is meh, i like the fact thats its something new in a form of a paint scheme in a production car we havent seen before, but give me the REAL SLS AMG over this any day. I swaer cars these days are just losing it..
How strange it sounds, but I say that I like this car! No really! Whether is has a petrol analogue, I have any trolling expression to this car and it looks really nice (pretty strange color it's painted) and as for electric - I won't say it's the heaviest. MB claim that it can 250 km fully charged, which is good. How much I dislike e-mobils (softly said), but this car doesn't seem to me so... something very attractive!